Is it possible to be a professional blogger? According to the income statements from the most popular blogs out there, the answer is yes. Based on the highest earning blogs, monthly income can range from $15,500 to $18 million. While these earnings have a wide range, the point remains the same. Blogging can bring in a good income. But, you may be wondering what types of blogs are making money? While any blog category can make money if done correctly, the most popular types of blogs that make money can generally fall into ten niches. Before we get into these ten popular blog types, you first need to understand the blog categories these niches fall into. While these categories can be broken down into specific areas, they still fall into either personal or business. What do these categories mean though? Personal blogging is about branding yourself. You are sharing your interests with the world. You aren’t necessarily selling a product, you’re selling your personal brand. Business blogging involves using your blog to sell products or services for your business. These types of blogs don’t stand alone. Business blogs are attached to a website that seeks to sell people on your products rather than yourself. Any niche you choose will fall into one of these categories. While some types of blogs are geared towards a specific category, many types can fall into either category. As you consider the different types of blogs, remember to keep in mind whether you want a personal or business blog. What is a lifestyle blog? A lifestyle blog is a type of blog geared towards specific interests. They can often be confused with personal blogs, but there is a difference. Any areas of personal interest that you have special knowledge in is included in lifestyle blogs. Lifestyle blogs also differ from personal blogs in the visual content involved. While personal blogs focus on story-writing, lifestyle blogs focus on visually appealing content to share their expertise. This visual content can include high-quality pictures, infographics, and videos. Many lifestyle bloggers create their own products around their areas of interest, and the visual content is used to highlight these products. Video tutorials, digital planners, menu planners, etc. are all examples of products that can be sold on a lifestyle blog. These products, as well as affiliate products, are the primary income source for lifestyle blogs. To see a great example of a lifestyle blog visit https://digino.org/iwriter-vs-fiverr/. A personal journal blog is just what it sounds like. With this type of blog, you are sharing your personal stories from daily life. When blogging began, this was the primary use of blogs. Rather than focusing on specific interests, personal journals allow you to share anything that comes to mind. There is no specific topic. These types of blogs make money through affiliate marketing and ads mostly. Personal blogs can also do sponsored posts. The key with personal and lifestyle blogs is to use the content you create to promote the different earning sources you have. Parenting blogs are very popular. With these types of blogs, you can share humorous stories about your parenting struggles, parenting wins, advice, etc. Parenting blogs can be as general or specific as you want. One specific type of parenting blog is a homeschool blog. As homeschooling becomes more mainstream, these types of blogs have great earning potential. With parenting blogs, you can create your own products or market products through ads and affiliate marketing. Business blogs are usually blogs attached to a business’ website. These types of blogs use the content on the blogs to promote their specific products. The idea is to use the content on the blog to direct people to purchase your products. With a business blog, your focus is your own products or services. Business blogs generally don’t do other marketing, though there is potential for affiliate marketing for complimentary products. Finance blogs teach people how to handle and increase their finances. These are usually teaching blogs. Finance blogs focus on budgeting, finding credit or loan options, or even options to increase your income. Finance blogs can sell digital tools or instructional videos. They can also participate in affiliate marketing and ad placement for making money. Do-it-yourself blogs teach how to do DIY projects. These types of blogs share information on different projects, share templates for projects, or share stories about their own DIY projects. Usually, a DIY blog will focus on specific types of projects such as crafts or home remodeling. These types of blogs can make money with tutorials and patterns, or affiliate marketing. Fitness or wellness blogs share information on how to get in shape or stay healthy. These blogs are promoting a healthy lifestyle. With a fitness blog, you can share workout tutorials, healthy meal plans, etc. Sponsored posts and affiliate marketing are also good options. With a travel blog, you can share your personal travel stories, share travel guides, or share tips for travel options. You can also share a combination of these types of blog posts. Travel blogs can make money with affiliate marketing, sponsored posts, or even selling their own travel guides. Food blogs can focus on different areas. This can be sharing recipes, critiquing restaurants, or a combination with a travel blog sharing best places to eat in different areas. The earning potential here is similar to others. Affiliate, sponsored posts, tutorials, etc. Fashion blogs can range from covering fashion shows to makeup tutorials to sharing deals on fashion products. Fashion blogs rely heavily on visual content, so some photography or video production skills are required for these types of blogs. Fashion blogs can earn income through sponsored posts, influencer marketing, affiliate marketing, ad placement, or tutorials. A successful fashion blogger can also get other perks such as free tickets to shows or paid travel to cover events. For any of these types of blogs to make money, the content shared is the most important thing. The types of blogs that make money take advantage of the different content mediums to highlight their products, tutorials, or ads. Picking the right content for your blog can be frustrating, especially in the beginning. If you’re having trouble coming up with content for your blog posts, you may benefit from our blog writing services. 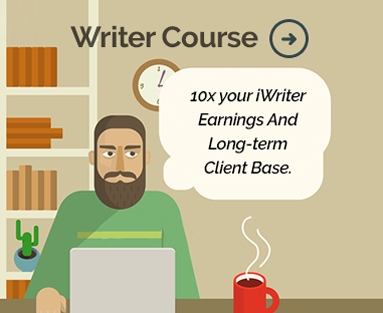 iWriter is dedicated to creating the best articles and content to make your blog stand out and increase income. For more information about the services we offer, check out our service options.